The Second World War has ended, leaving a bruised and fragile peace. But this tranquillity is threatened when a shocking murder takes place in the Sussex countryside. Before long, police experts discover a link to another, earlier, killing hundreds of miles away ...While Scotland Yard detective Billy Styles struggles to find a link between these two murders, a strange twist of fate brings former Detective Inspector John Madden into the investigations. As the victim count rises it becomes clear that to catch this serial killer Madden, Styles and young policewoman Detective-Constable Lily Poole must act quickly. But Madden remains haunted by the mysteries at the heart of the case. Why was his name in a letter the second target had been penning, just before he died? Could the real clue to these perplexing murders lie within the victims' pasts? And within his own? 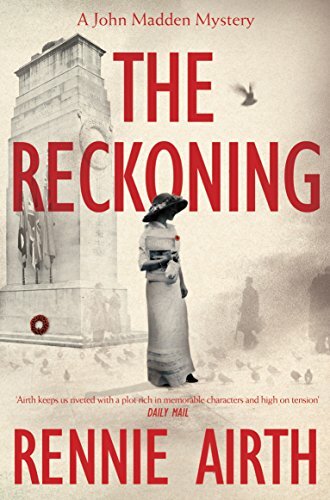 With this stunning, atmospheric crime novel teeming with twists and moving between the 1940s, the First and Second World Wars, Rennie Airth, the author of River of Darkness, The Blood-Dimmed Tide and The Dead of Winter presents his greatest and most compelling novel yet.